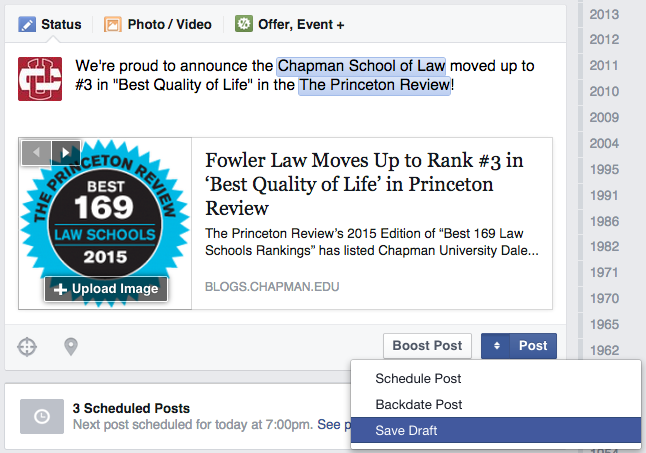 At times, it might be strategic to schedule Facebook posts or target them to specific fans. 2. Select the desired date and time. 3. Access, review and edit your post. Under the content writing box, you can “See posts” and review them. 4. 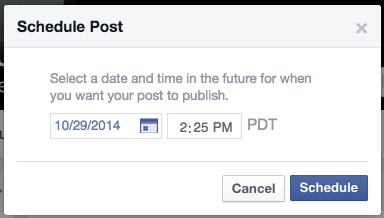 Reschedule, edit, publish now or delete post. In the Scheduled Posts feed, the Page administrator can reschedule the post for a different date and time, edit the copy or publish now. Unfortunately URLs, URL titles and descriptions, and URL images cannot be changed after scheduling. Page admins may also access scheduled posts from their Activity Tab. 1. Enter your copy and select Save Draft. 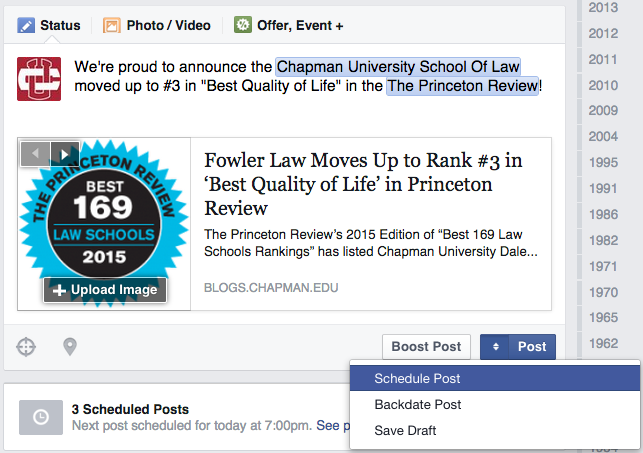 See more about posting, editing and scheduling in Facebook’s Help Center. 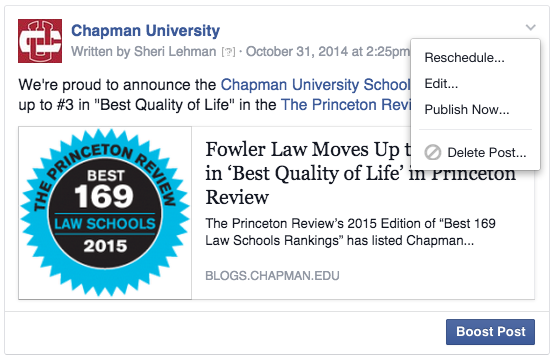 Next Social Media 101: New to the online Chapman Community?